So, it’s pretty well known by this point that Joe Perry had collapsed on stage and sent a scare to everyone involved. It was later revealed that the collapse was the result of dehydration, not cardiac arrest. In fact, the doctors said that Joe Perry‘s heart was very strong. 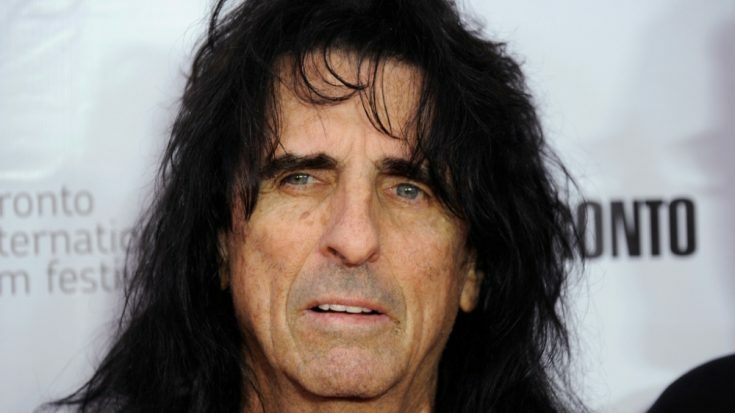 The person who has been the most outspoken regarding this scary incident has been Rock And Roll Hall Of Famer Alice Cooper. He has spoken on this topic many times, and he’s at it again. Here’s some of what he had to say. This was obviously a scary time for everyone involved, especially Joe Perry‘s family. Luckily, he’s already back on stage doing what he loves and that is shredding the guitar! We just hope that he remains healthy enough to keep doing these shows!